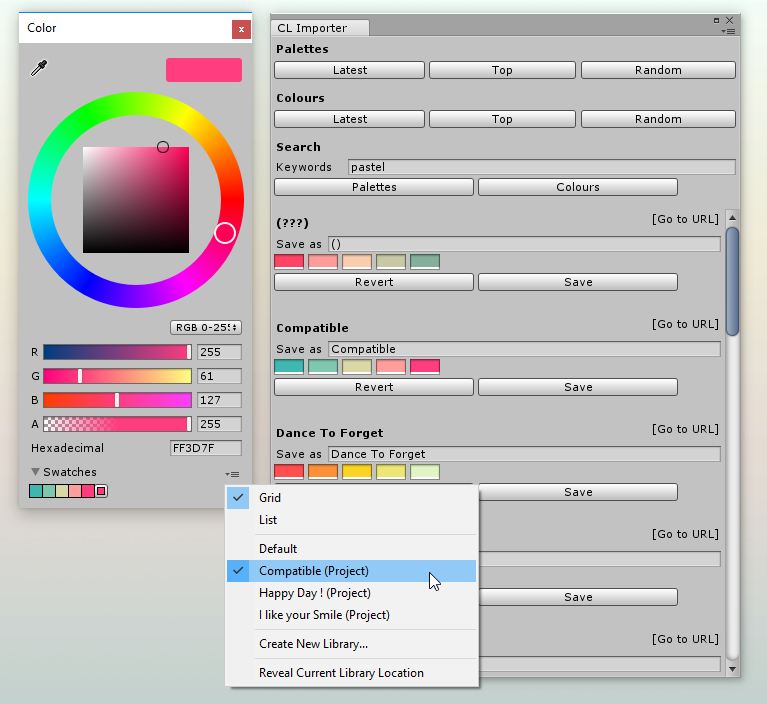 A simple editor tool to search and load colours and palettes directly from COLOURlovers. Hooks into the COLOURlovers API documented here. There are options to edit and save the palettes returned. 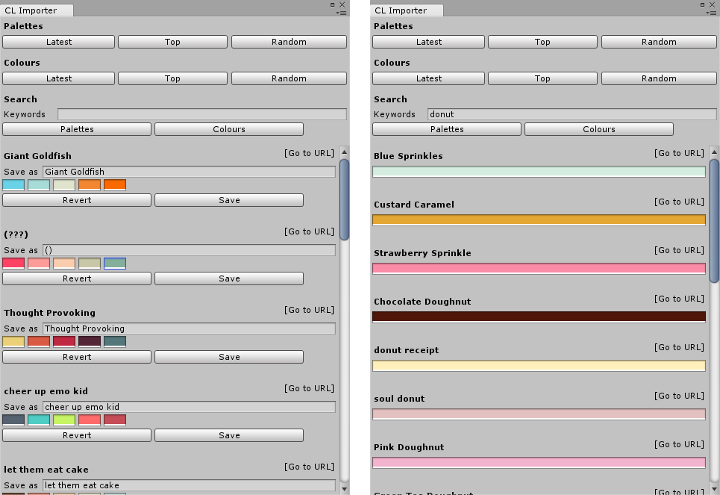 Saving a colour palette will create an asset in the Assets/Editor folder. Unfortunately Unity doesn't expose the ColorPresetLibrary so the preset assets are generated based on a text asset. Hopefully this is a handy little tool for prototyping/creating placeholder assets or UI to give you easy access to nice colour combinations instead of using default/random colours. Download unity package directly here. Full source is also available on GitHub.